I found the article late Saturday night while diving into a black hole of internet searches, or you can say "research". I was so excited by the find, I immediately decided to work out the measurements and made it for breakfast the next day. They were amazing! Soft and tender, but with a slight chew, they're not chewy, but they have a bite. So So good. The article also had an outline for their fried chicken but I'll save that for another post. Because these biscuits are the bomb. The recipe is simple. I've read that the best biscuit recipe's are also the ones with the fewest ingredients. This one only has 3. 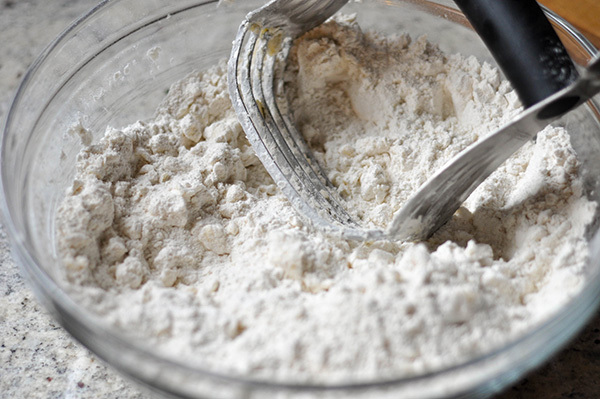 Self rising flour (flour that already includes salt and baking powder), butter and buttermilk. Done. Cut the cold butter into the flour, Once it reaches a wet sand consistency with a few larger chunks of butter still in there, make a well and add the buttermilk. Gently fold the butter flour mixture into the buttermilk till it forms a sticky dough. Turn this dough out onto a floured board. Add a bit more flour to the top of the dough and roll is out to a 1-1 1/2" thickness. Cut the dough with a 3-4" biscuit cutter and place onto a parchment lined baking sheet. 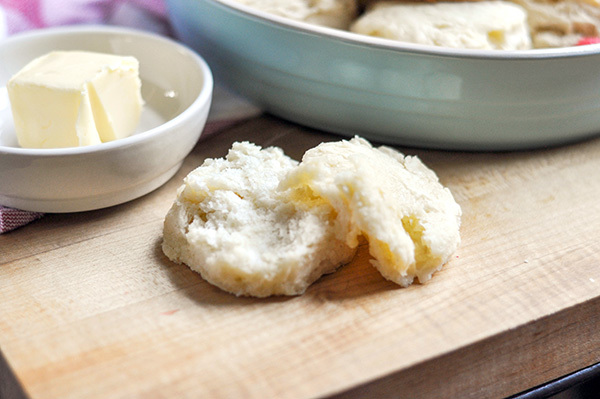 Once you've cut all the biscuits you can from the first roll, gather the dough scraps knead slightly and roll it out to cut the rest of your biscuits. I like to place my biscuits right next to each other so they'll be nice and soft. Brush these with a bit of melted butter and bake at 400F for 15 minutes or until they're golden brown. Serve warm. Warm, Fluffy and melt in your mouth. There's nothing else like it! I still have yet tried the fried chicken part of this recipe... but I definitely will soon! In a large bowl, cut together the flour and butter with a pastry cutter till it looks like wet sand with good sized chunks of butter throughout. Dust your board with some all purpose flour and turn your dough out. Gently roll out to a 1 1/2" thickness. 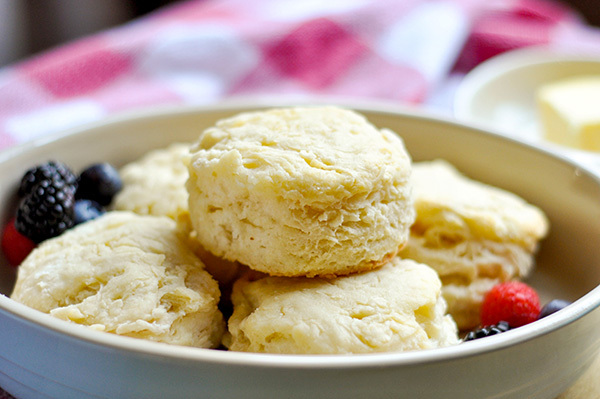 Cut the dough into biscuits using a 3 inch cutter. Place side by side on the prepared baking sheet. Brush with butter and bake for 15 minutes or until golden brown.